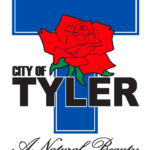 TYLER — The City of Tyler wants to inform Tyler Water Utilities and Municipal Court customers who used the one-time payment option through the Click2Gov online-payment system to notify their banking institution and have a new debit or credit card issued. According to our news partner KETK, It applies to online and in-person options. Fraud cases are still being reported to the Tyler Police Department after the city was notified that an unknown third-party was able to gain access to payments made through the system. The system is used to collect payments for utilities and municipal court fines and fees. The date range of the breach is June 18, 2018, to Aug. 21, 2018. The city says whether fraud has been detected or not, any card number used in the listed timeframe was compromised and needs to be changed. The City is in the process of identifying and contacting individual customers who may be affected by the breach. Payments made with a credit card through the 24-hour kiosk or over the phone through the IVR payment system were not affected.